Inspired by Elizabeth Taylor’s gold feathered costume in the 1963 film, Cleopatra. 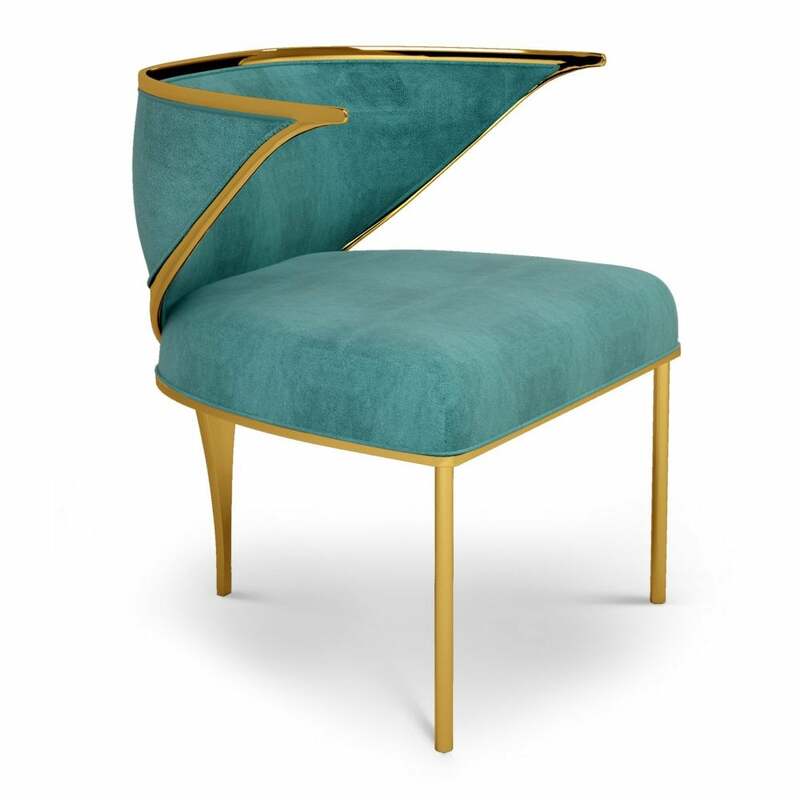 Part of Century Collection by Ottiu, the Beth Dining Chair features a polished brass structure that supports the smooth velvet upholstery covering the seat and backrest. Edged with metallic brass, the arms of the chair recall the glorious golden feathers upon Elizabeth Taylor’s arms. Shown here in a striking turquoise hue, the Beth Dining Chair will steal the show in any dining space. Upholstery is available in a wide range of fabrics and colours to suit your interior scheme. Make an enquiry for samples, specifications and advice. Priced for Upholstery: Ottiu Fabric. (USD) Structure: Polished brass.